Avoiding Facetime: LinkedIn and other digital channels are a key component of your networking strategy, but many online networkers rarely venture out into the real world. In effective networking, there is no substitute for facetime (the real thing, not the app). When you meet people in person, you don’t have to wonder if someone is multitasking or distracted. You can have natural conversations with facial and body language cues that engender interest and make it easier to find common ground. Other professionals with common interests are there to further the dialogues and take the pressure off of you. Best of all, people are much more likely to remember you if you do meet in person. 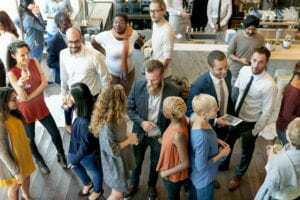 If face-to-face communication in a networking environment makes you a little anxious, learn how to use body language to Network Like a Pro Without Saying a Word. Making Yourself the Focus: You’re approaching career networking with all of the ambition with which you approach your work. That’s terrific, but for some, this zeal can result in too much focus on their own story and priorities. While you should always have an elevator speech at the ready, and there are even appropriate times to share your story, it’s best to approach networking interactions with an intent to learn about others. People want you to listen to what they have to say. Ask your new contact how he got started in your industry, what he does in his role, and what he loves most about it. By making others feel valued, you will have more opportunities to develop professional relationships. 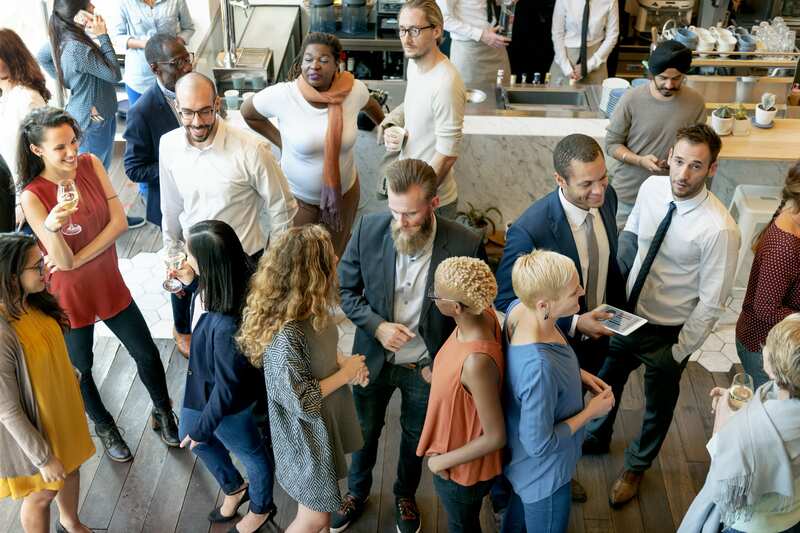 Taking More Than You Give: Selfish networkers approach interactions thinking, “What can you do to help me?” Highly effective networkers approach these interactions thinking, “How can we help one another?” Successful networking, like negotiating, is about offering and exchanging value. This may require planning in advance and considering what you have to give to the types of people you meet. Perhaps you have an extensive social network and you can share an article your contact just published online, or maybe you know someone with expertise your new contact could use. Approach networking with a spirit of reciprocity and always try to offer before you ask. Not Offering a Reason to Follow Up: When you meet a valuable contact and establish a rapport, you want to ensure there will be a follow-up interaction within the next few days. You can increase your chances by offering a reason during the initial interaction. You may have a portfolio you would like to show, or an article you would like to share. Set an expectation for your follow-up with a specific and compelling reason. Not Promptly Following Up and Expressing Gratitude: You met a new contact on LinkedIn, arranged an informational interview over coffee, and waited five days to send a thank-you email. People get busy and she will probably understand, but sometimes negative impressions over a perceived lack of courtesy set in before they can be reversed. Express your gratitude promptly and sincerely, and avoid having your contact wonder if you appreciated her time and efforts on your behalf. Playing the Numbers Game: Networking is often wrongly perceived as a numbers game. But there is no reward for collecting the most business cards or for having 1,000 contacts on LinkedIn. Conversely, there are many advantages to building honest, genuine connections with people in your industry. Focus your initial efforts on generating memorable impressions, rather than numbers of impressions. Failing to Nurture Your Network: No one likes the sibling that only calls when he needs something. Similarly, your contacts will appreciate your sincere interest in a professional relationship if you make it a point to nurture your network, even when you’re not looking for work. Send a friendly invitation to have coffee, an article you think a contact might appreciate, or pick up the phone to simply reach out. In the short term, professional networking may be about advancing your career. But if you approach it with a spirit of reciprocity, it will enhance your career over the long term by making you feel like an important part of something larger than your company.